Toronto Dogs Directory: Your Dog's Sick Tummy - Know Your Vomit! Your Dog's Sick Tummy - Know Your Vomit! It is important to ﬁnd out what is causing your dogʼs vomiting. It could potentially be a life-threatening problem and may eventually lead to extreme dehydration, organ failure and intestinal problems. As strange as it may sound, different vomit may mean different things. Many dogs vomit on a daily basis and it is no cause for concern. However, sometimes there may be an underlying reason for your dogʼs vomiting. Vomiting is an unpleasant thing to deal with, but it is important to pay attention to what your dog may be vomiting before you clean it up. This can be helpful when dealing with an illness, and sometimes you can determine if the vomiting is simply from something your dog has eaten. Dog Vomiting Yellow Foam - There are two main reasons for yellow vomit. The ﬁrst reason is because of excess bile in the stomach. This could happen right before a meal, or because his stomach is empty. This is usually easily treated by changing your dogʼs food type and feeding schedule. Another reason for yellow vomit is because your dog is eating too much grass. This is most obvious if you have recently let your dog out and he comes back in the house and vomits shortly after. Keep an eye on your dog when you let him outside to relive himself. If you notice he tends to eat a lot of grass, correct the problem immediately. Dog Throwing Up White Foam - Vomiting white foam is a serious issue. Sometimes it is caused by consumption of garbage, spoiled foods or another dangerous substance. 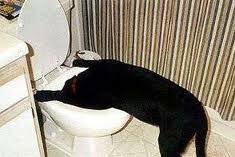 If your dogʼs behavior does not change after a bout of vomit, he will likely be ﬁne. However, if the white, foamy vomit occurs more than once, it may become a serious issue. - Bloat: bloat is caused by a swelling of the stomach. The swelling will cause the stomach to rotate. This is a very serious condition and will cause death if left untreated. It may be caused by overexercise, or eating too fast. Symptoms of bloat include white, foamy vomit, hunched back, bloated stomach region, panting and restlessness. Sometimes vomiting will not occur again after the ﬁrst time but there will be attempts to do so. Take your dog to the veterinarian immediately. - Digestive Tract: if your dog has complications in his digestive system, he may throw up white foam. If this happens on a regular basis before meal time, it may be an infection of your dogʼs digestive tract. As long as there is no blood in your dogʼs vomit, treatment may be as simple as a change of food. - Illness: there are many different illnesses that can cause white, foamy vomit. Minor illnesses include the ﬂu. Some more serious cases include diabetes, kidney disease and hepatitis. Be sure to look out for irregular behavior and other symptoms such as diarrhea, lethargy, pain, panting, refusing to eat and discharge. - Rabies: although foaming at the mouth will not likely occur until other symptoms are in full swing, vomiting white foam may be a sign of rabies. Other symptoms of rabies include aggressive behavior, fever, licking and chewing the bite mark and loss of appetite. The foaming occurs when the nerves in the mouth and throat become damaged from the disease. This makes it impossible for your dog to swallow his saliva, therefore creating a “foaming at the mouth” characteristic. - Rat poison. Rat poisons cause the blood to thin and may excrete in vomit, diarrhea or body cavities. - Swallowing sharp objects which tear the stomach and intestines. - Eating dead animals, this may cause your dog to catch disease from the animal and cause blood in the vomit. - Ringworms from unvaccinated puppies. Usually bloody vomit is accompanied by bloody diarrhea. More serious cases of bloody vomit and diarrhea include cancers and internal hemorrhaging. Take your dog to the veterinarian immediately if the blood is bright colored in the vomit or diarrhea. Dogʼs are prone to accumulation of stomach bile and acids. This excess will cause irritation and upset stomach and will cause your dog to vomit. This is because your dogʼs stomach is not full enough from his meals, or he digests his food too quickly to sustain any food in the stomach. Your dogʼs food may be the cause of excess bile. Dry dog food is not recommended for dogs who throw up bile because it soaks up liquids in your dogʼs stomach, which will expand and may cause vomiting. In very serious cases, excess bile may be diagnosed as IBD, or Inﬂammatory Bowel Disease. This requires medical attention and a special diet to control. Always talk to your veterinarian if your dog vomits more than twice in one hour.